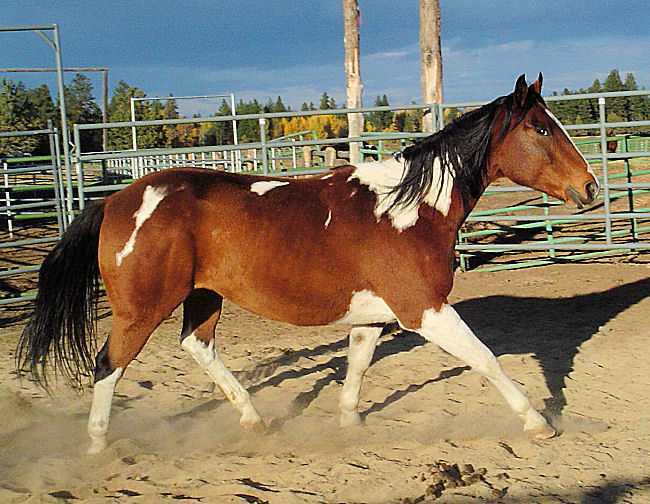 Shippa Moon Streak, APHA #229,401, Bay/ Tobiano. 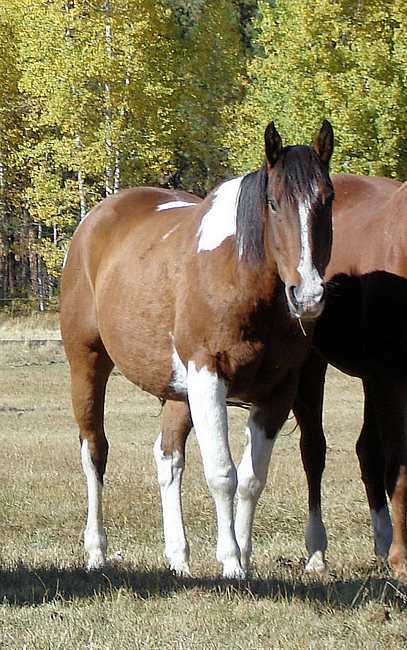 Retired ranch horse looking for a young cowpoke to call his own. Warpaint has drug many calves to the fire and been sweet and safe doing it. He is great on the trails and plucking around the arena.